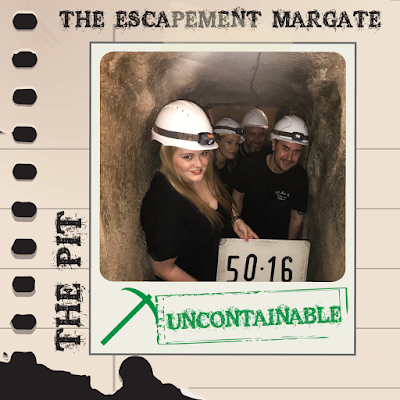 We arrived at Margate’s The Escapement to play The Pit, where we were to be sent deep underground as a team of miners to save the planet in an epic journey to the centre of the earth. We met with our cheery games master and his equally friendly colleagues whom from the second we walked through the door made us feel very welcome. After an entertaining run through of the rules and regulations we were invited to don our miners hard hats and begin our escape below ground. As escape enthusiasts we have a fair few games from across the country under our belts, but this set was by far the superior of any of those we have played - even over pricier London venues and their probable strong financial backing. 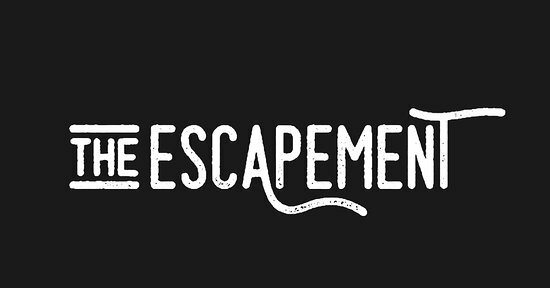 It was clear that these independent escape owners have a real passion for the genre and the games that they are creating are a true testament to their labour of love. Decorated to an extremely high standard, no aspects of this fully immersive environment had been forgotten; from the attention to detail in its flawless decor, the ingenious use of the space and the props that help you manoeuvre it, to the auditory, lighting and smoke additions. The Pit wouldn’t look out of place on a Hollywood a film-set it’s that good. It was dressed to an impeccably high standard and we were suitably impressed! But it certainly wasn’t a case of style over substance when it came to the puzzles, all which linked faultlessly to the games mining theme. A bugbear of ours is when puzzles have no link to an escape games plot, but at The Pit they all tied in effortlessly offering a varied level of challenge that comfortably accommodates both escape game novices on a fun day out and seasoned players alike. Our favourite type of room to play is one that allows us to separate and come together to share our finds. There were lots of props and information to digest individually keeping players busy at all times. In contrast The Pit does well by bottlenecking you as a group at certain points requiring full team participation, which means all members get to be involved to witness the stand out puzzles and props of this room, ensuring we shared the same experience during those particular "wow” moments. We managed to escape in time and save the planet from doom, but had we failed our mission we still would have left here impressed. 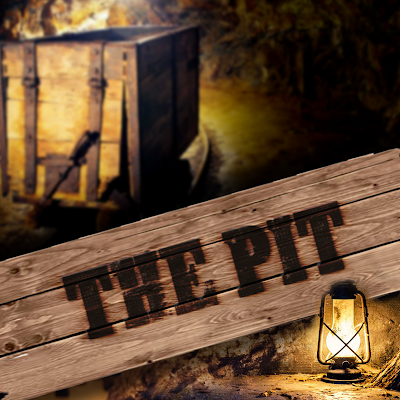 There’s really nothing negative to say about our time at The Escapement playing The Pit. From the games masters intro and his attentively timed in-game assistance, the meticulously designed environment to the high quality, originality of the clever puzzles themselves. It's rare you find a game that doesn’t dip at any point, which certainly wasn’t the case here. We highly recommend a visit on your next jaunt to Margate, as The Pit was nothing short of “fracking” brilliant.